As a radio broadcaster or DJ, your most important tool is your voice and you need to take good care of it. We have some excellent vocal warm-ups that will keep your voice in tip-top condition. There are many points to consider when taking care of your voice, from what you consume to your physical state and warming up your vocal cords; many of these points can have a positive or negative impact on your voice. There are many food and drink items that could have a negative effect on the way your voice sounds. Caffeinated drinks like coffees and some teas, for example, causes the throat to become dehydrated and the muscles to contract. According to Mayo Clinic, consuming milk may make the existing phlegm in your throat “thicker and more irritating”, so you might want to avoid the consumption of dairy products, like milk and yogurt, if you are broadcasting with a cold or flu as increased or thicker phlegm may affect how your voice sounds. Whilst we all love our vices and our fun, it might be best to drop the smoking and alcohol if you plan on broadcasting soon. These activities dry and constrict the vocal cords, which doesn’t make for smooth crooning on your station (unless you are trying for a gravelly voice, of course). On the flipside, there are also things which can have a positive effect on the sound of your voice. It’s of the utmost importance as a broadcaster to keep your vocal folds, also known as vocal cords or voice reeds, hydrated. This means drinking plenty of non-caffeinated fluids, like water. You should also aim to have foods that contain Vitamin A; it will help keep your soft tissue, skin, and mucous membranes good and healthy, as is described here. 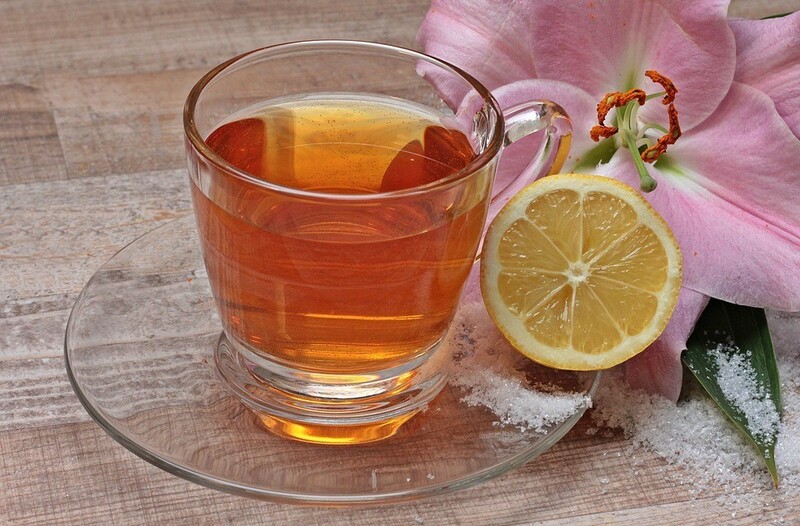 Drinking some room-temperature water or non-caffeinated tea with honey and lemon may help to soothe your throat. Touching your toes and stretching back upwards. Rotating your arms in a circular motion. Swinging your legs back and forth one at a time – you can use your desk for balance. Posture is another critical factor that affects your voice. Slouching, for example, reduces your breathing capacity and constricts your throat. So, we think it’s safe to say that bad posture is a big no-no for a smooth radio voice. Now, we are all guilty of the occasional slouch (it’s so comfy, after all), and whilst remaining upright and straight-backed seems like an uncomfortable endeavor, it really doesn’t have to be. Good posture is all about being comfortable and finding a natural balance. If you broadcast standing upright, keep your upper body upright with your shoulders in line with your hips. Get rid of any stiffness – find a natural balance, keep your head up, eyes forward, and shoulders back. If you broadcast whilst sitting down, be sure to invest in a good desk chair that will support your height and your back. Sit back into your chair as far as your hips will allow, as this will help straighten out your back into a natural pose. You can always try activities like Hatha yoga or pilates which aid in improving posture. A broadcaster’s breathing is improved by good posture, and breathing is an integral part of keeping your voice sounding great. Breathe in… breathe out… and in again… it’s something you do automatically, so how can you be doing it wrong? Well, it’s not that you’re breathing wrong, but you can improve your breathing techniques to enhance your voice. If you are a broadcaster, you might want to try breathing from and into your belly. 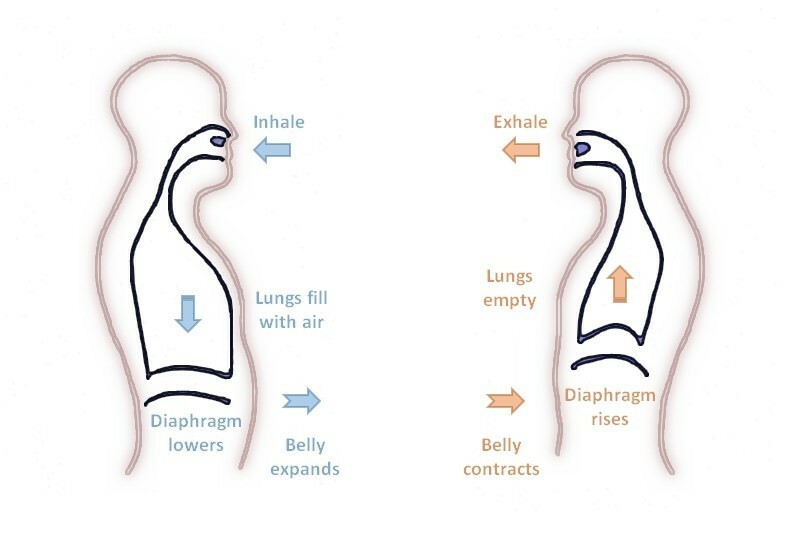 This entails breathing into your diaphragmatic area, instead of your chest or shoulders. That is, when you breathe in, you want your belly to expand fully, rather than your chest or back. Breathing clearly and deeply before and during broadcasts will help your voice resonate. Dry air and dust are awful for your voice. If your studio is a dry and perhaps dusty area, you might want to invest in a humidifier or change your space. Alternatively, a hot shower or facial steam will be a real treat for your voice, warming and loosening your vocal folds before a broadcast. Just try not to clear your throat as it may be a bit harsh on your vocal folds. Blowing out air from your mouth and vibrating the lips (much like a motorboat sound) will aid in keeping the lips loose and flexible. Much like the lip trill, only this time your mouth will be open, and you will roll your ‘R’-sound, vibrating your tongue against the roof of your mouth. To improve tongue strength, run your tongue along both rows of teeth a couple of times. Relaxing your jaw will help your mouth move freely, and there are a couple of ways you can loosen up your mouth. Move your jaw in circles in a chewing motion, adding a hum when you feel comfortable with the motion. Open your jaw wide, making a meowing motion and sound. Yes, just like a cat. Repeat ‘boo-bee’ or ‘oo-ee’ a couple of times while exaggerating the natural movement of the mouth and cheeks. Say ‘mamamamama’ with only a light lip contact on the ‘m’; then move into saying ‘wawawawawa’ with slightly rounded lips. One of the classic vocal warm-ups. A nice, deep hum will do wonders for waking up the voice and tuning those vocal cords. You can break into singing if you feel like it, but start out with a good, deep, vibrating hum. Speaking to yourself in an exaggerated, overly expressive manner before your online broadcast could help pronunciation and the loosening up of the lips and tongue. Talk to yourself by over-enunciating sounds and letters – roll those R’s, and stretch out those vowel sounds. You might even incorporate the exaggerated speech into body stretches, for example, ‘uuuuup, aaand dooownnn’. It might feel a bit strange, but it will be well worth it. All the tech and equipment involved in running your own online radio station is pretty important. But all those things would be pretty obsolete if you didn’t take care of your most important tool – your voice. We hope you have fun warming up and taking care of those vocal cords with our suggested vocal warm-ups. They do work quite hard, after all. If you haven’t yet tried our excellent radio automation software, do so today by downloading a free trial of SAM Broadcaster Cloud. Now that you know how to warm up those cords, you might as well broadcast, right?